A Great Depression Era Brick Classic! Owned by the same family since it was built from the ground up in 1931. 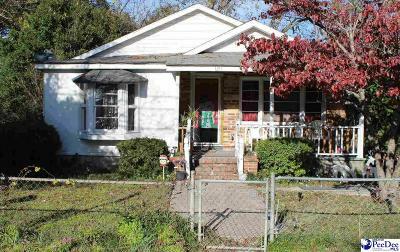 Charming 2-bedroom, 1 bathroom home in an established community located in town close to restaurants, grocery stores, and shopping. Rugged mid-century essentials on a corner lot with central air and heat for year-round Southern comfort. Tenant is currently in place if you are planning to invest in this heirloom.